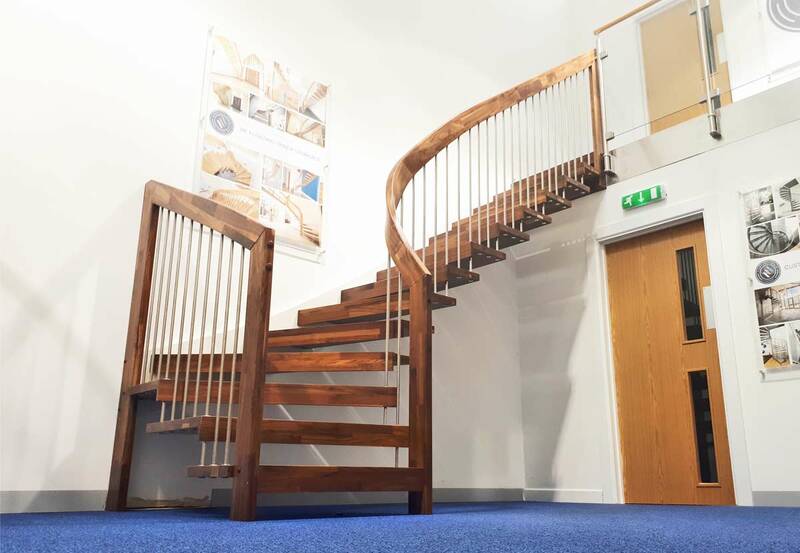 We have a full flight floating timber staircase in our showroom in Romsey Hampshire. It is a quarter turn flight with a white wall stringer, walnut parquet treads and handrail. 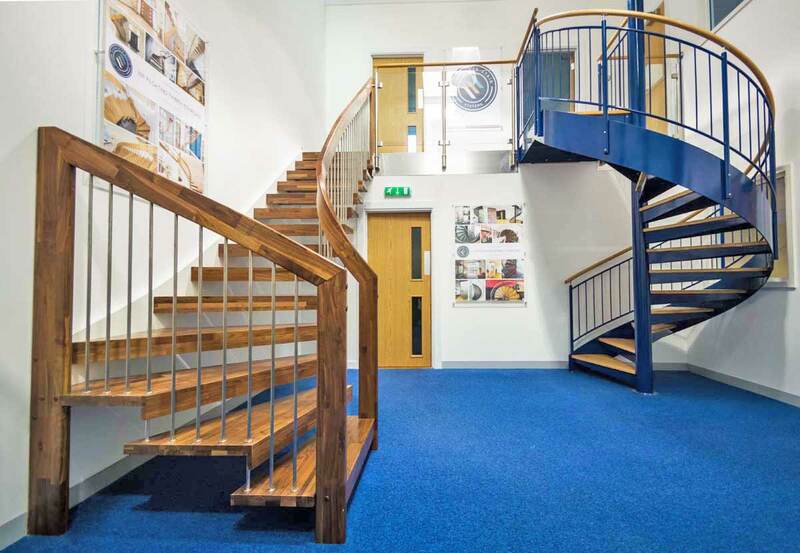 The showroom model does feature the popular and stunning curved handrail. The staircase also has brushed stainless steel spindles spanning from the treads to the handrail. 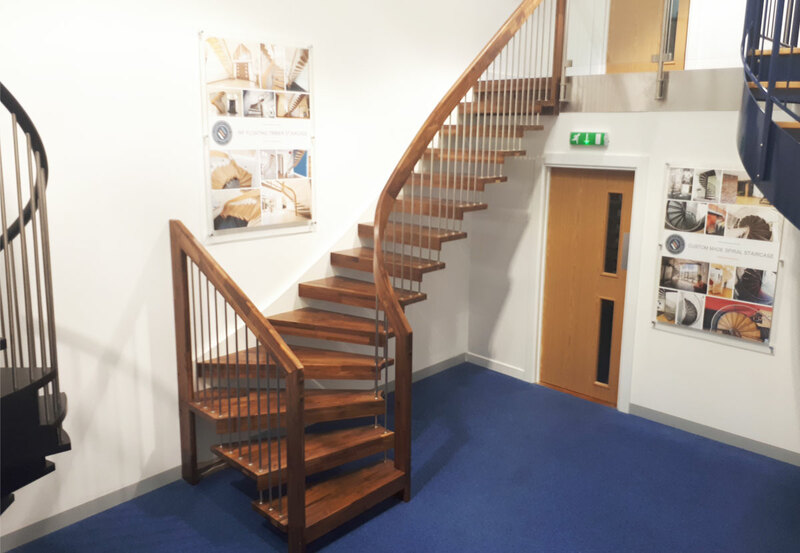 We also have several smaller displays of the staircase and samples of the various timbers available. Nothing beats trying before you buy so call 01794 522444 or email sales@timberstairsystems.co.uk to book an appointment and feel the quality of the product first hand. 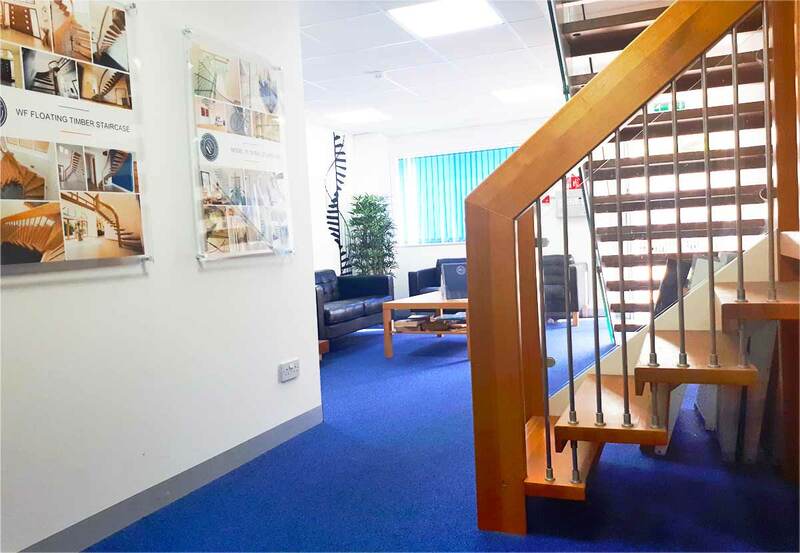 Bring along your plans and we can discuss your requirements and find a suitable staircase configuration. We are open normal office hours during the week and by appointment on Saturday. Use the map to the left to locate Romsey and our office. We are around 10 minutes from the M27 and 20 minutes from the M3.